Ventriloquist and Entertainer Terry Fator won the reality television show America's Got Talent in 2007 and was then signed as the headliner for The Mirage in Las Vegas. Puppet Heap has designed and built five of his most popular characters including Winston the Impersonating Turtle, Emma Taylor, Wrex the Crash Test Dummy, Julius, and Duggie Scott Walker. Character design for Emma Taylor by Paul Andrejco. 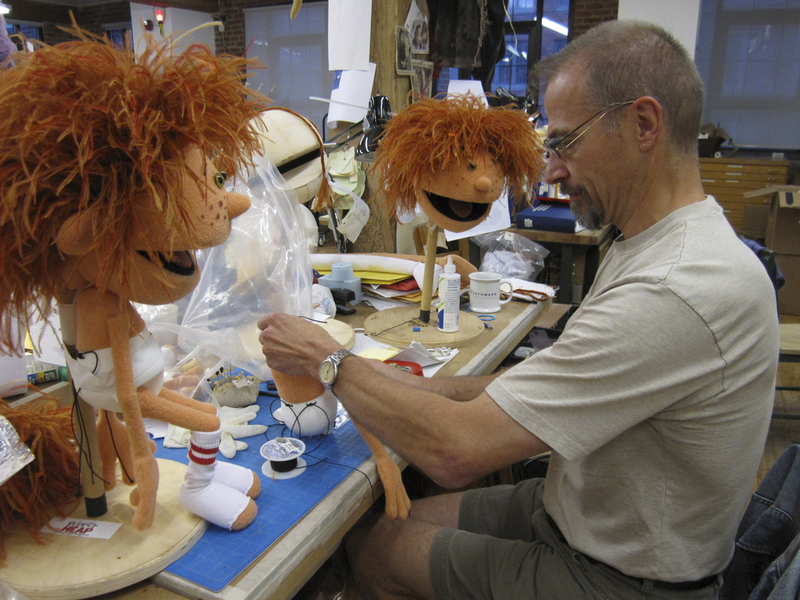 Artist Stephen Rotondaro building Emma Taylor puppets. Terry with Winston the Impersonating Turtle performing at The Mirage, Las Vegas. Winston character design (left) by Paul Andrejco, puppet (right) by John Orberg. Shop Supervisor/Artist Duncan Gillis painting Winston's shell in the Puppet Heap workshop. Taylor Makakoa with Terry Fator and Duggie at The Mirage, Las Vegas. 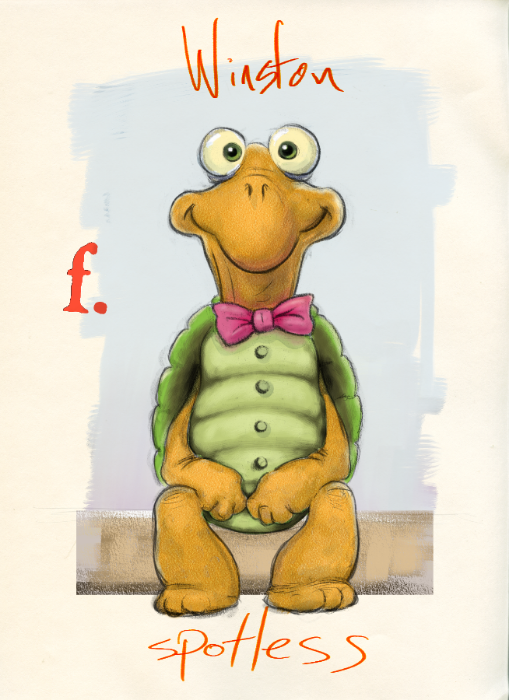 Character artwork for Duggie (left) by Paul Andrejco. Completed Duggie puppet (right) by Paul Hartis. Artist Paul Hartis building Duggie puppet. Artist Steph Cathro attaching Duggie's hair. Terry performing with Wrex the Crash Test Dummy on stage at The Mirage, Las Vegas. Artist Mari Tobita sculpting the head for Wrex in the Puppet Heap workshop. Artists Mari Tobita and Nathan Wilson comparing character artwork to completed ventriloquist dummy Wrex. Artist Duncan Gillis airbrushing parts of Wrex. Terry performing Julius with a repertoire of Nat King Cole songs at The Mirage, Las Vegas. Art Director Lauren Attinello designing the Julius puppet.